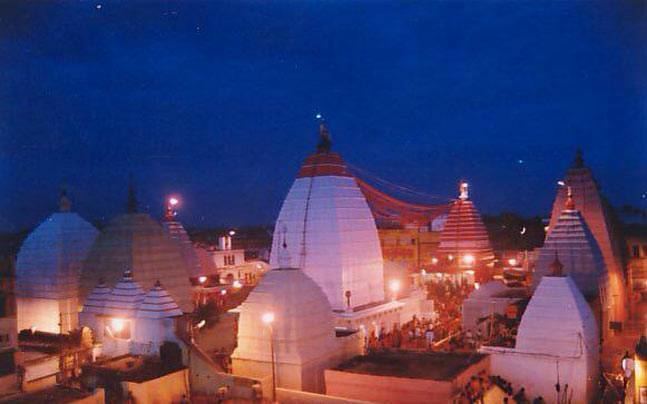 Deoghar is the head quarters of the Deoghar District in the Santhal Parganas division of the state of Jharkhand, India. The famed Baidyanath Temple is located here. Deoghar is located at 24.48°N 86.7°E﻿ / 24.48; 86.7. It has an average elevation of 254 metres (833 feet). As of 2011 India census, Deoghar has a population of 203,116 and 17.62% of the population is under 6 years of age.